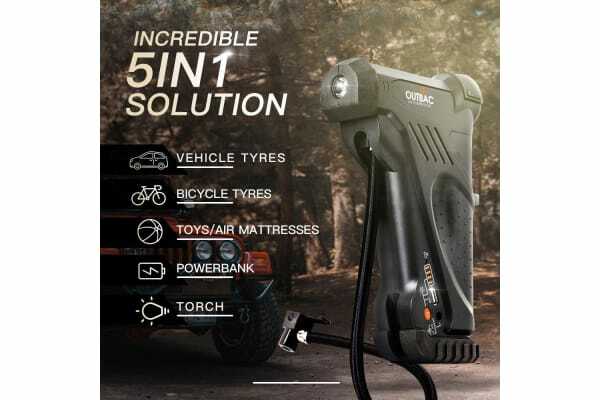 The New Outbac OTB300 12V Cordless Multi-Purpose Air Compressor has arrived and is already becoming the most demanded 12 Volt electric air compressor by Aussie’s alike! A must have vehicle accessory for any 4wding legend, Dirt Biker, Quad King, Camping Connoisseur and anyone who never wants to be caught out! The OTB300 is super handy and convenient to use, making it the perfect companion for those who are always on the go. 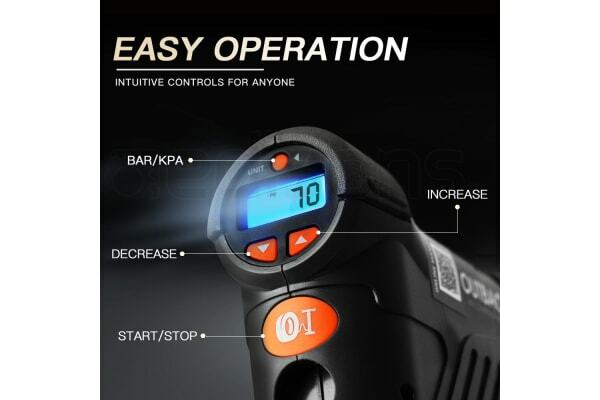 It comes complete with a compact design for easy storage, a built-in digital LCD screen for easy to read pressure gauge and a built-in LED light. The Outbac hand held air compressor is an all-in-one solution that can easily and instantly pump up any inflatable objects. The 3 different nozzle adaptors are great for all inflatables, from beach balls, bicycle tyres, mattresses, sports balls and more! 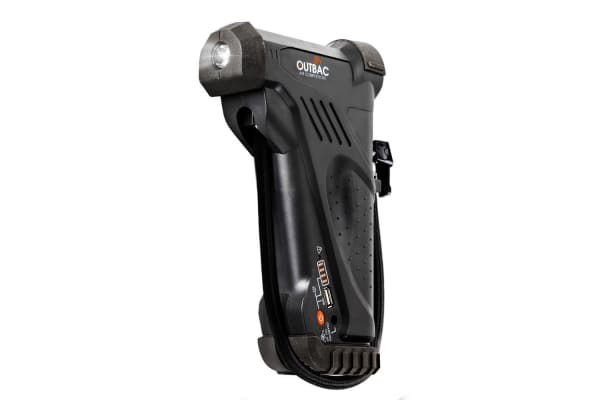 Outbac is synonymous with quality and reliability and the 12V Cordless Multi-Purpose Air Compressor sets the precedence with its Smart Pressure Technology that automatically stops inflating when the pre-set pressure is reached. The one button switch makes it easy to operate and the 3 cell 2000mAh lithium-ion battery ensures long lasting power. BUY NOW and make your future off-road trips free from stress and unexpected incidents. Outbac™ – Often Copied, Never Equalled!